To become active citizens it is essential that all Australians understand how our Parliament works. To ensure that young Australians become engaged with the electoral process, students first need to understand how the system works. The Constitution Education Fund School Parliaments (CSP) is a major civics education initiative, which we offer to both primary schools and secondary schools across Australia. The outcome of School Parliaments is that students become empowered, knowledgeable, responsible, engaged and active citizens. They become excited and can’t wait to enrol to vote once they turn 18. A Constitution Education Fundschool Parliament in your school gives students a great insight to how our Federal Parliament functions. Each student has the opportunity to take on the role of a person involved in our Parliament and other organisations connected to the Parliament. There are eight steps in implementing a school parliament. Introduce student government to the students. This includes promotion of the school parliament as essential to building a large following within the school community. The school will write a Constitution. The formation of political parties in the school. The party members develop policies and choose a leader and candidates among themselves. Run election campaigns. Students that were not selected as candidates may take on other roles, such as of journalist writing about the campaign, cartoonists, scrutineers, public servants etc. Hold an election. This may be done online or via pencil and paper. The Parliament meets and the party that wins the most candidates forms Government (the Executive). The other major party forms the Opposition. The Parliament creates legislation for the school based on the policies that the political parties created. The Governor-General signs the legislation into force (gives it the royal assent). The legislation is implemented in the school by the public service. There are several pathways to implementation of a Constitution Education Fund School Parliament. The Constitution Education Fund can help you assess and find the most appropriate pathway for each school according to your school needs, priorities and the resources available. 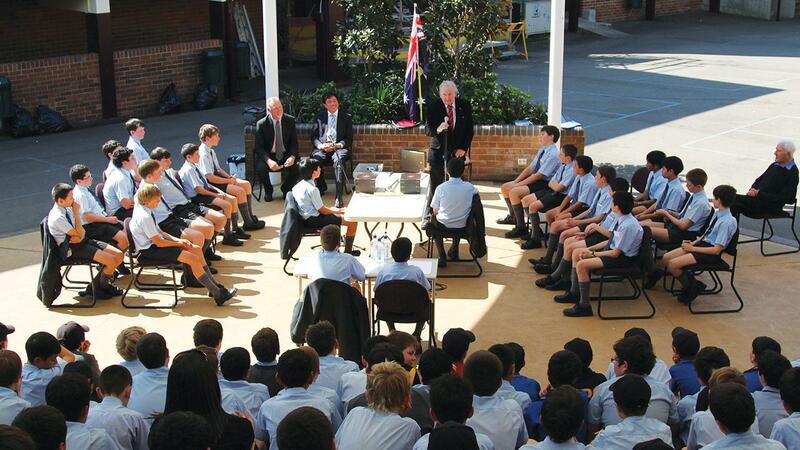 While every primary and secondary school in Australia is different, schools tend to implement their Parliaments using one of the following three distinct methods. Integrating your Constitution Education Fund School Parliament with the curriculum. Introducing a Constitution Education Fund School Parliament as a co-curricular initiative outside class time. E.g. "The Parliamentary Club"